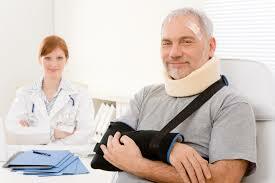 Personal injury cases are the cornerstone of what we do at Fisher Injury Lawyers. We have been helping personal injury victims get the compensation they deserve for more than 20 years, with an extraordinary record of success that includes winning more than 98% of our cases. If you or a loved one has been injured in any way through the negligence of others, we urge you to contact us today to ensure that you receive the best legal representation to protect your rights and get the maximum compensation possible. With so many years of trial experience, our legal team has the knowledge and expertise to protect you from insurance companies that will pressure you to accept unfair settlements. We will fight for your right to obtain justice and be compensated fairly. We have won tens of millions of dollars in compensation for well over 1000 clients – and we can win compensation for you as well. Unlike many other lawyers out there, we will not charge you a single penny unless you receive a settlement – so there is no risk to you whatsoever. In addition, our initial consultation is absolutely free – and we will even come to your home for the consultation if needed. 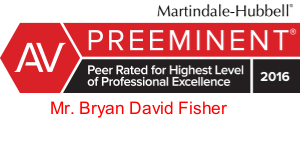 That’s the kind of personal attention, enthusiasm and helpful attitude that you will always get from Bryan Fisher and the legal team at Fisher Injury Lawyers. The fact is that we realize what you are going through if yourself or a loved one has been seriously injured. You are worried about paying household bills and medical fees, taking care of your family and holding your life together. We are here to take care of every aspect of your legal case – with the goal of winning the compensation you deserve and improving your quality of life. Regardless of how you may have been injured, Bryan Fisher and the legal professionals at Fisher Injury Lawyers have the skill and experience to help you obtain fair compensation. We have extensive expertise in all manner of personal injuries, from auto and truck accidents to maritime accidents, wrongful death, nursing home negligence and product liability, just to name a few. Please remember that if you are ever in need of legal assistance because of a personal injury, we are always here to help you and your family. If you or a loved one have suffered a personal injury due to the negligence of others, we urge you to contact us online or by calling 225-766-1234 today. We will provide a free initial consultation – and you will not be charged any fees whatsoever unless we win your case.